Alright lets really get down to our trip to Nicaragua shall we? 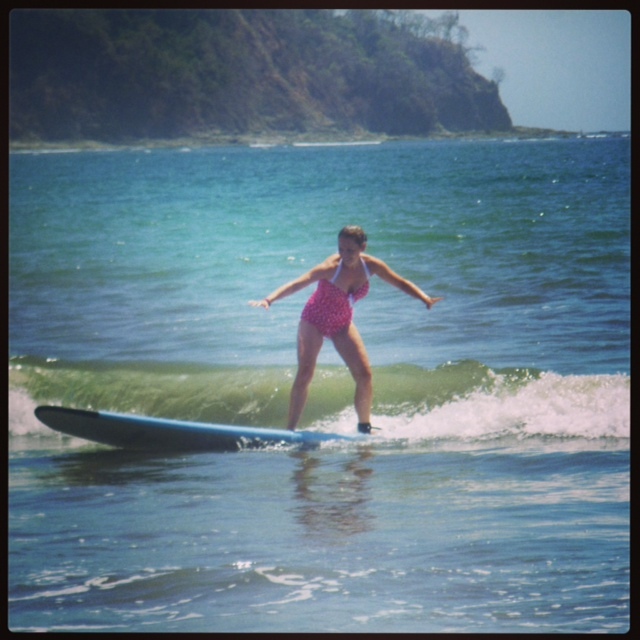 San Juan del Sur is often described as a “surf town”. 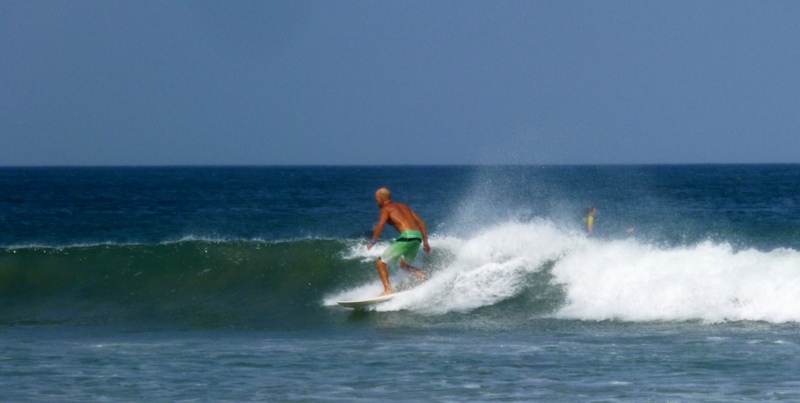 It’s proximity to the Costa Rican border makes it a popular destination for both surfers, and people looking for a quick get away on their Visa run. 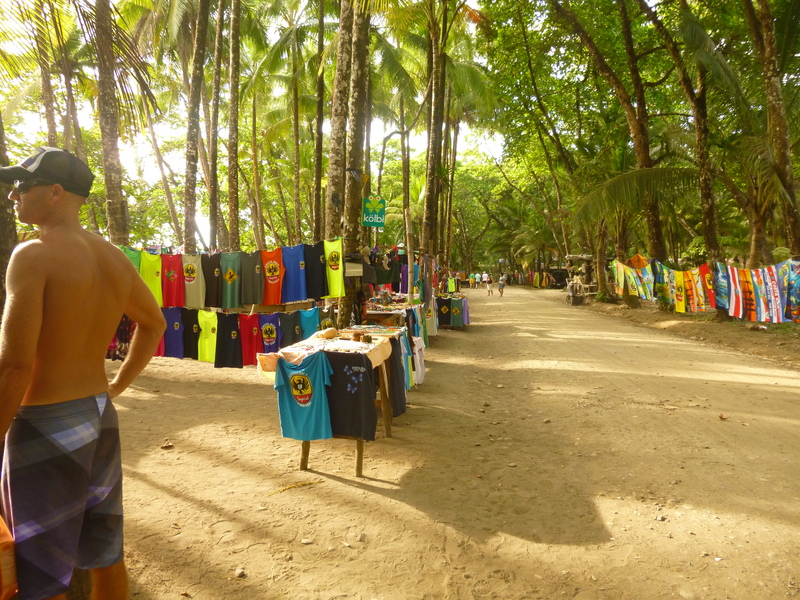 Located about 1km from Lake Nicaragua, San Juan del Sur is home to a gorgeous 3km horseshoe shaped beach with fun beach side restaurants dotted along its shore. The town itself has everything you need for a good time. Lots of bars, coffee shops, tour companies, souvenir shops and hostels. There is a great market in the centre of town where vendors sell all sorts of fruits and vegetables. 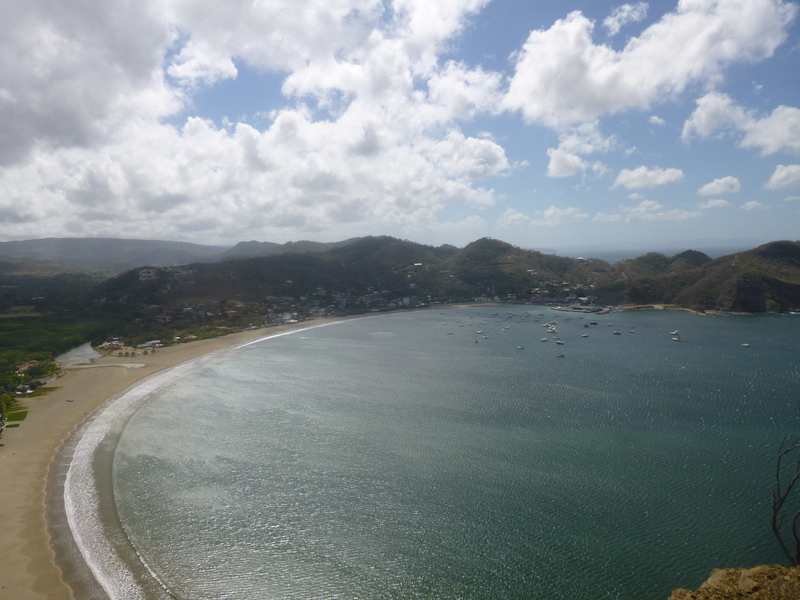 The only thing that San Juan del Sur is missing, is the surf. There is actually no surf in San Juan..none at all. 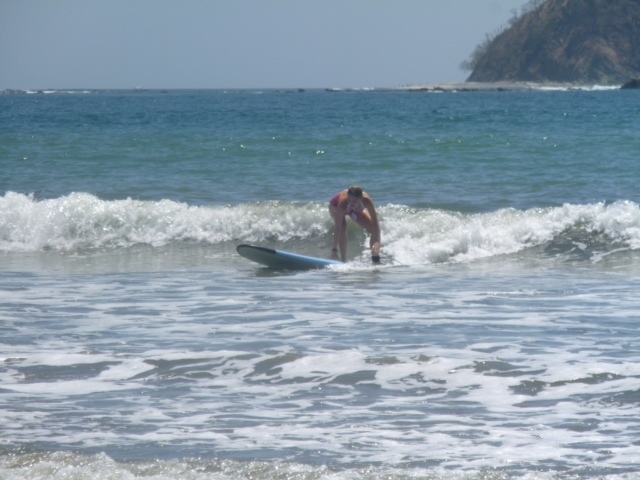 San Juan del Sur tends to be the epicentre for those who are interested in surfing, as it has the most amenities.But the closest surf beach, Playa Maderas, is about 9km away. 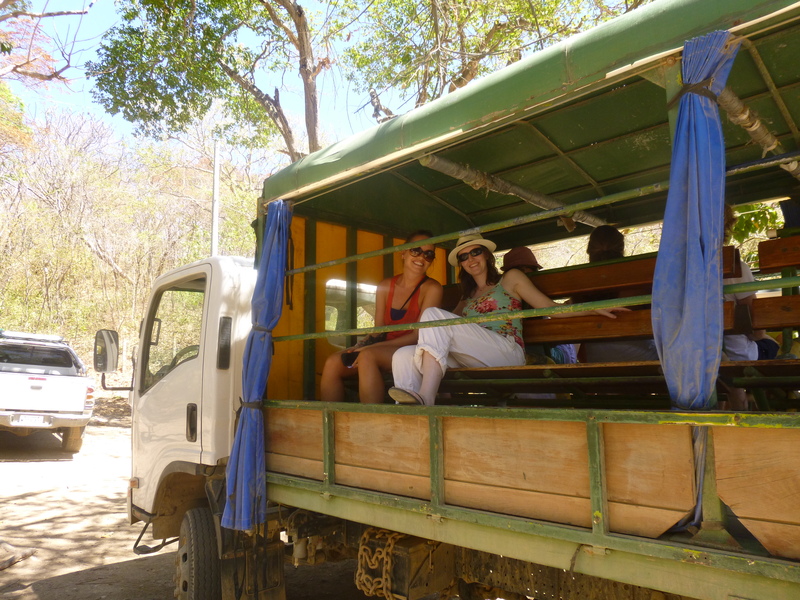 There are tons of shuttles, vans and taxis that you can catch that will take you to and from San Juan to Playa Maderas. The cheapest option is by far the shuttle that leaves every few hours from Casa Oro. This tourista cattle car is 3 bucks for one way or 5 bucks for a round trip. Certainly beats the 15 dollars that the cabs will charge you! I don’t blame the poor cab drivers for charging so much though, the road to Maderas is pretty brutal. Pot holes, tight squeezes, low hanging branches and extremely steep hills can make it seem more like a faulty ride in Disneyland then a commute to the beach. 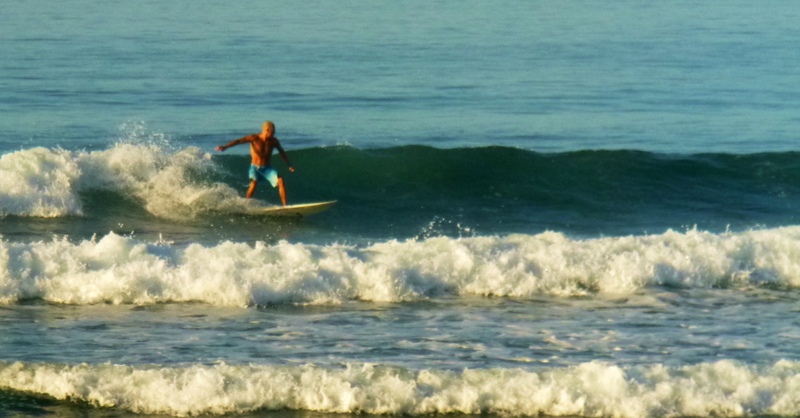 Once you get to Playa Maderas, you will be greeted by a small but dedicated surfer community. 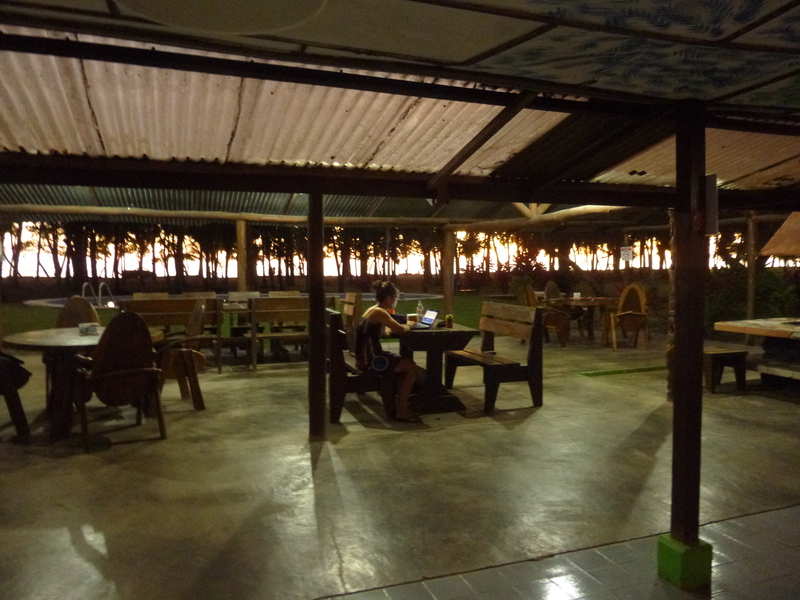 There are a couple of hostels, restaurants and board rental shops on the beach, but other then that, it is pretty remote. You can certainly find a place to get a beer, bed, meal or coffee, but there are no grocery stores or other amenities nearby. 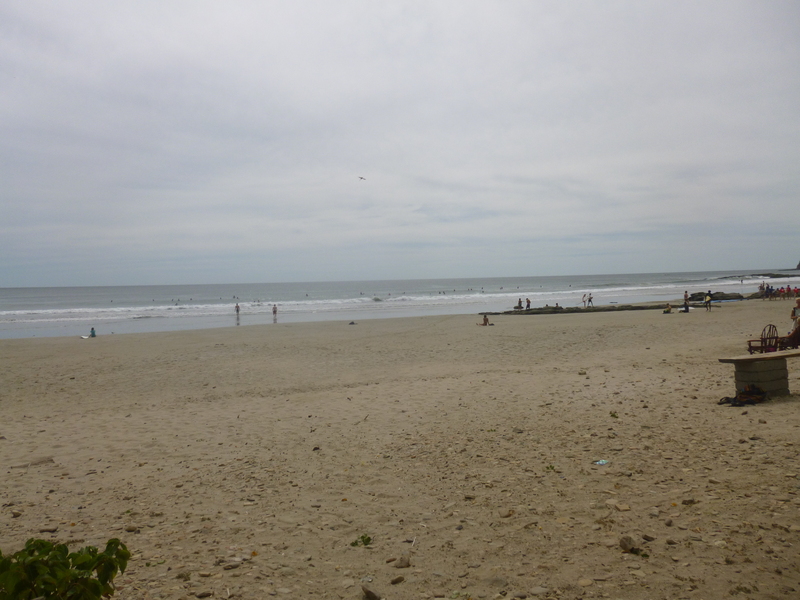 During our stay, the beach at Playa Maderas was always really busy. We aren’t sure whether it is always like that, or if it was because the other surf beaches nearby were really flat. Either way, with so many people trying to catch waves in a very small space, I opted to partake in a little beach side coffee time instead of attempting to surf. Although we left Shaun’s board back in Costa Rica, he did rent a board and go out one afternoon, but with the amount of people in the water and the lack of decent waves, he didn’t last long. If you are an avid surfer, and are wanting to catch some decent waves, I suggest doing your research. 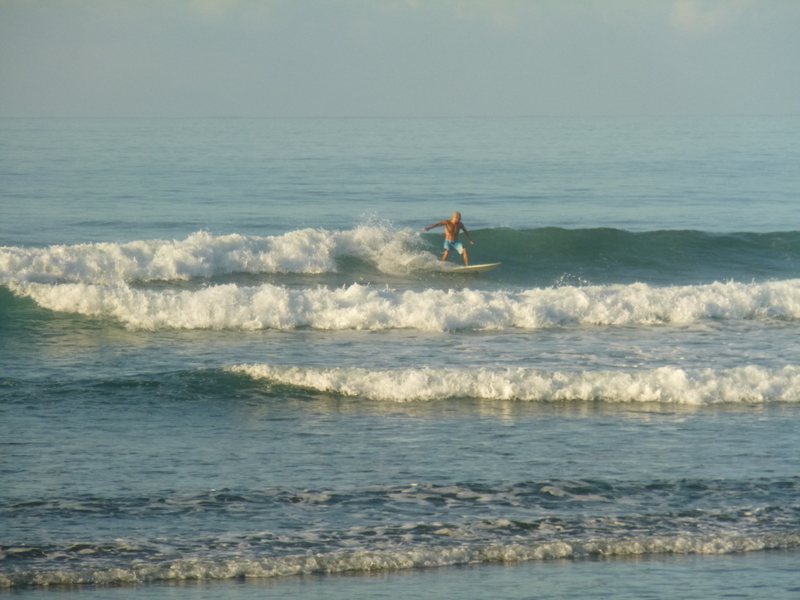 There are tons of nearby beaches that have great waves, alot of which are relatively undiscovered. Playa Maderas is certainly the easiest surf beach to get to from San Juan, so I think that may be another reason it attracts so many people. If crowds and surf aren’t your thing, there is another beach option. In between San Juan and Maderas is another little beach called Playa Marsella. 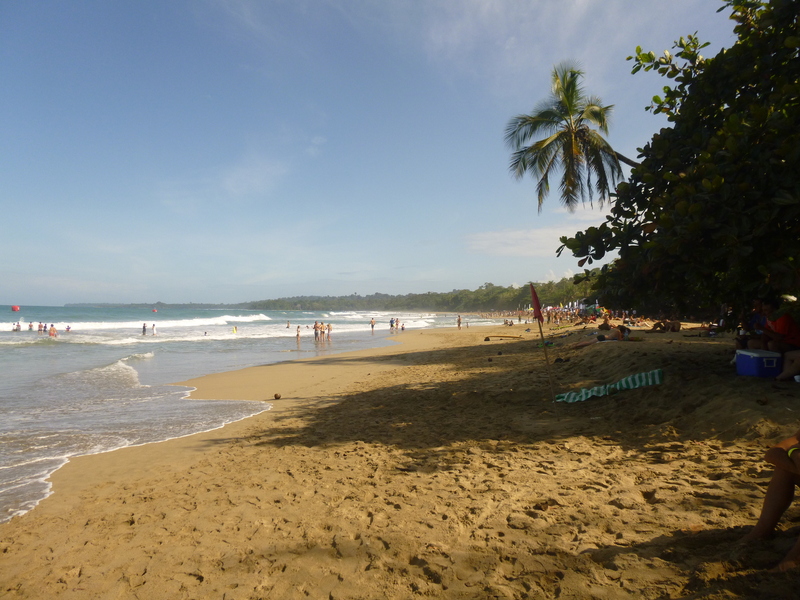 The lack of surf makes it far less busy then Maderas, but it is perfect for swimming or lounging in the sun. 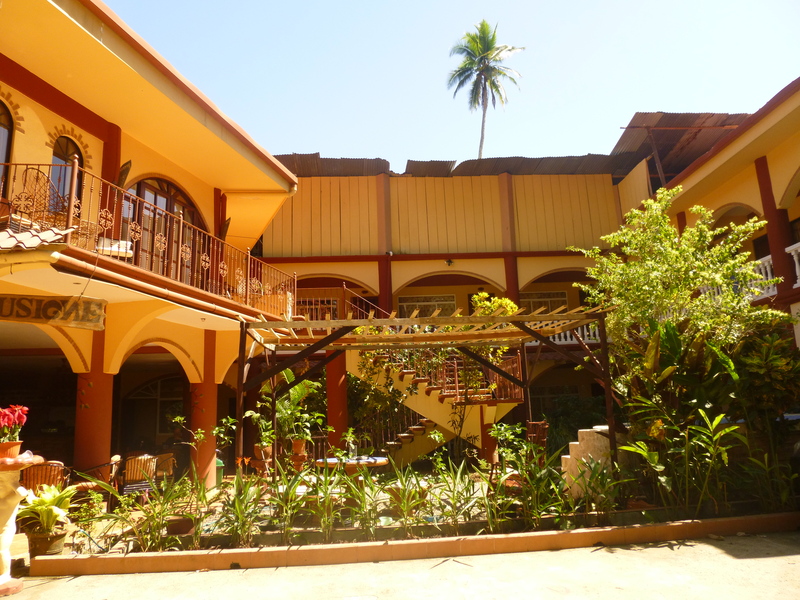 It also boasts several little hotels as well as one beach side bar. There is also a great authentic Nica restaurant on the road to Marsella. 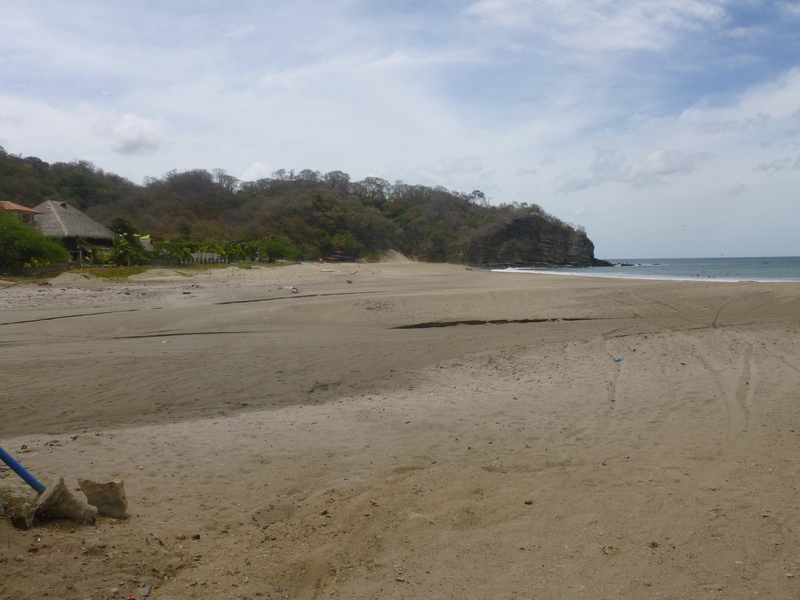 We spent 9 days in Nicaragua, 4 in San Juan del Sur and 5 just outside Playa Marsella. There is lots more to come about our adventures there, but I figured this was the perfect post to get everyone up to speed of the area I’ll be talking about for the next couple days. What are you experiences with surfing? Ever tried it? 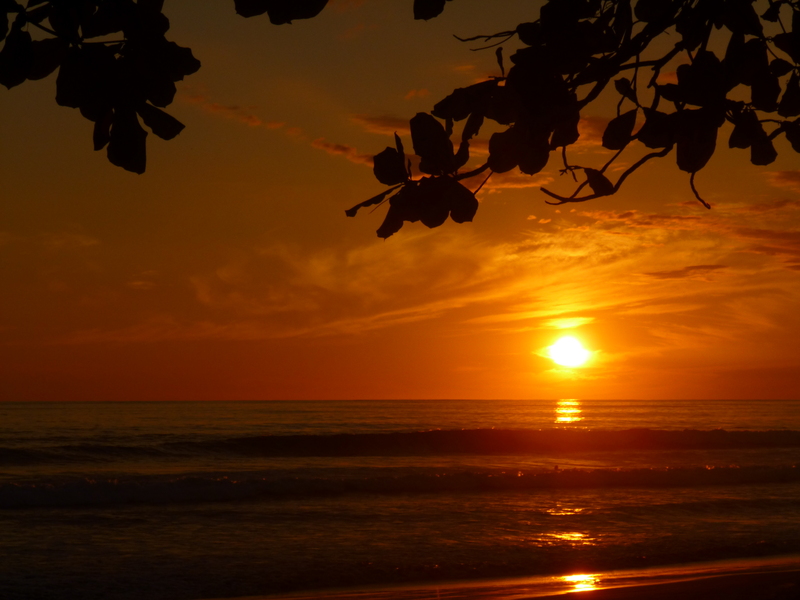 I certainly can’t write extensively about Puerto Viejo, as we only stayed there on two separate nights, before, and after our trip to Panama. That being said…During our stay I pretty much had the coolest looking coffee I’ve had in all of Costa Rica, and to not write about that would be a crime! Kids playing on a rope swing, off a tree on an abandoned boat. 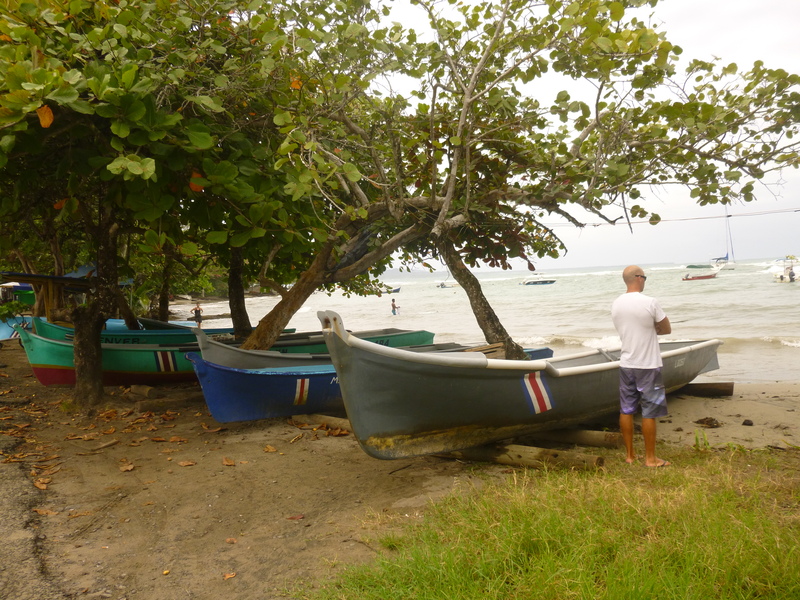 Every thing we read about the Caribbean Coast said that we would be in for a culture shock. The laid back surfer beaches of the Pacific, would be replaced by a Jamaican inspired rasta vibe. Although we did hear our fair share of Bob Marley during our two days there, I think we were expecting something more drastic. It certainly still felt like Costa Rica, but maybe with a few more dreadlocks. Pretty much all of Puerto Viejo is laid out on an 13km road. 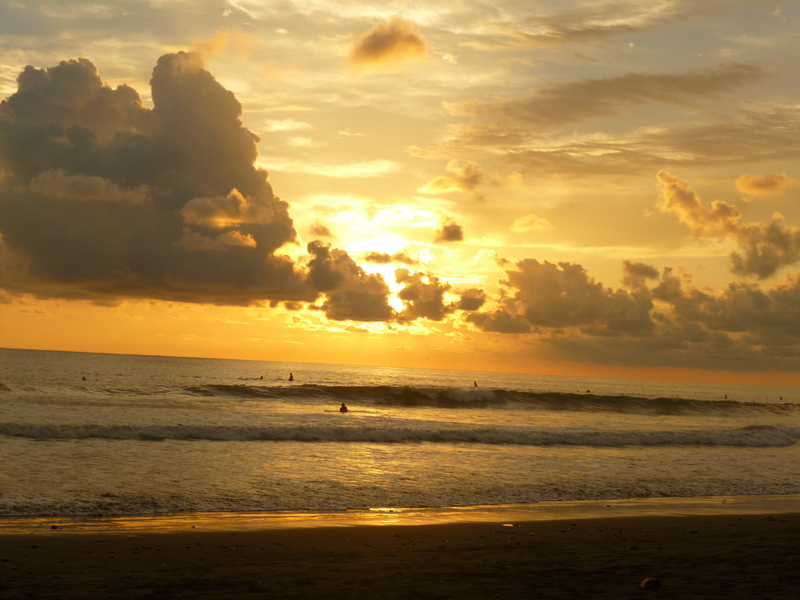 Although once one of Costa Rica’s secret destinations, it’s now a pretty busy little surfer town. The first day that we were there, there was actually a surf competition going on. It was pretty neat to be able to see some pretty high calibre surfers catching some waves. 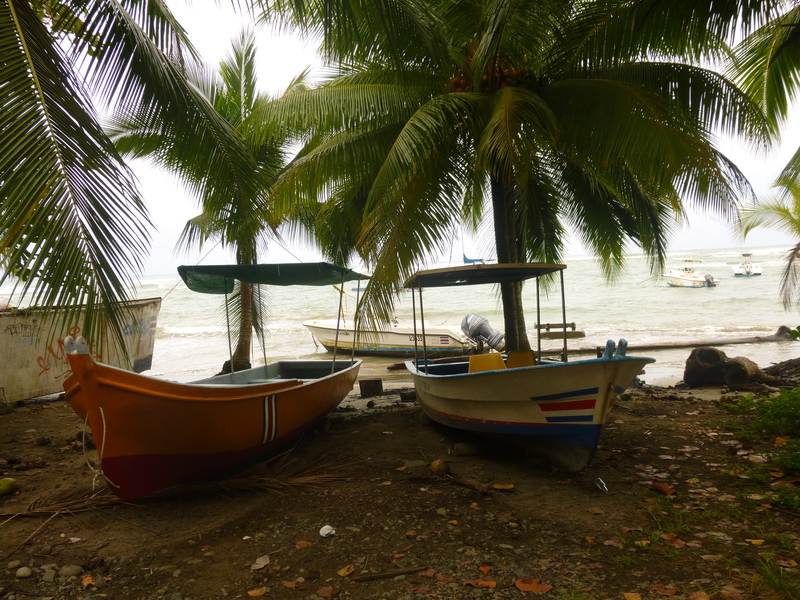 While we were there, the weather was gorgeous, but we had heard from many people that Puerto Viejo, as well as much of the Caribbean Coast is prone to tons of rain. We felt pretty lucky that we saw none of that during our visit. The one thing that did put us on edge a little was all the talk about Puerto Viejo’s reputation for crime. Every guidebook we read had tips about how to stay safe. There is a forest trail that runs along the beach, and it was recommended that tourists don’t walk on it at night. Our hotel had multiple signs that asked their guests not to bring their valuables with them at night, and to always take a cab back to the hotel instead of walking. We were there for such a short period of time, and never actually went out in the evening, so we certainly didn’t feel any sort of danger. Nevertheless, it was a good reminder to keep your wits about you when travelling in general. Behold! A thing of beauty! So now that you’ve read my ramblings, I know you want me to get to this coffee! 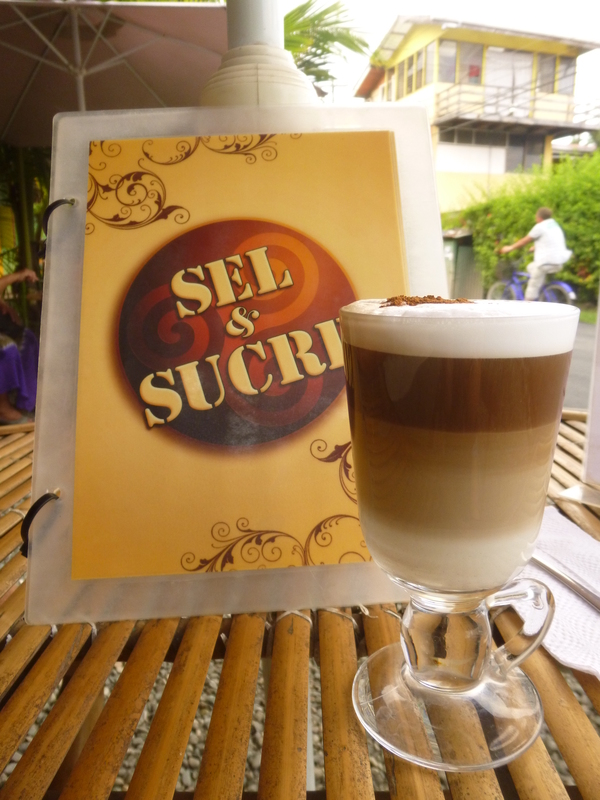 The afternoon that we came back from Panama, we popped into a coffee shop called Sel et Sucre. There was such a lack of good coffee shops in Panama, that I was dying for a delicious Cappuccino. Let me tell you, I got what I was looking for, and more. Just check that out! Isn’t it gorgeous! I wanted to just stare at this masterpiece forever, but eventually, after a lengthy photo op, I gave it a stir, and dove in. It was delicious. 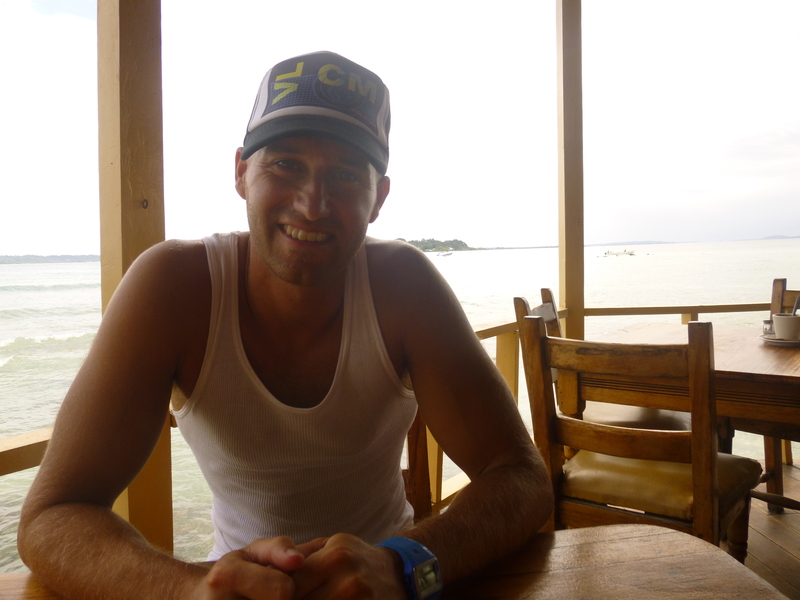 If you are in Puerto Viejo, check out Sel et Sucre, if only to behold such a masterpiece yourself! 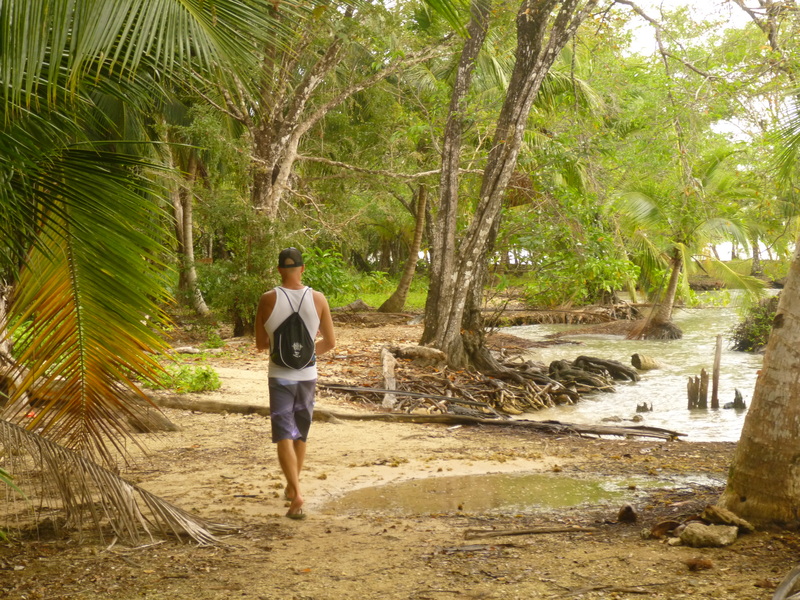 On our third day in Bocas del Toro, Shaun and I got up extra early to embark on an all day snorkel adventure. We rode out bikes downtown, and marched up to the tour company booth to check in. We knew something was up when we presented our voucher, and the women looked at us like we had rocks in our head. She explained that the tour was at 9:30, and had already left. They had waited for us as long as they could. We were baffled. Shaun looked at his watch…9:07. We showed it to her, and she laughed. “ahhhh, Costa Rica time,” she exclaimed.Yes my friends, we were unaware that there was a time difference between Panama, and Costa Rica. In fact, we had been living in the wrong time for two full days. It certainly explained why we were always to late for Happy Hour! Those look like pretty rainy clouds overhead! We were thankful that the company was kind enough to honour our voucher for the next day, but in the meantime, we had an entire empty day ahead of us. We decided to take advantage of the opportunity, and head over to the small island of Carenero, right across from our island. We asked a local if he would take us over, and we hopped in his boat. 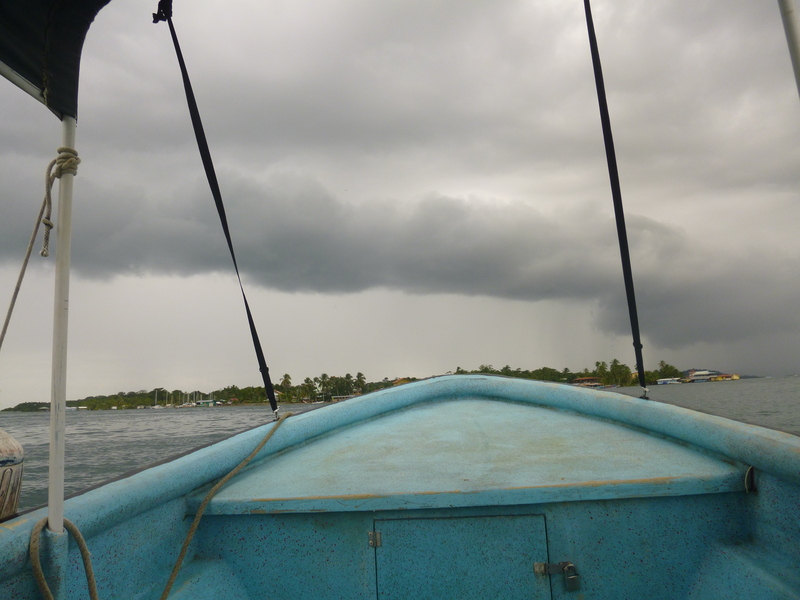 We actually felt pretty fortunate that we had postponed our tour, as the clouds overhead were looking fairly ominous. From shore, Isla Carenero looks pretty busy. Several building dot the shoreline, and by looking at it, you imagine there would be a little town to explore. Wrong again! The few buildings you can see from the shore is really the extent of the activity on the island. That being said, it is still a pretty funky place. We pulled up to the dock just as the rain started. Luckily, being from Vancouver Island, a little rain didn’t phase us, and we forged ahead. 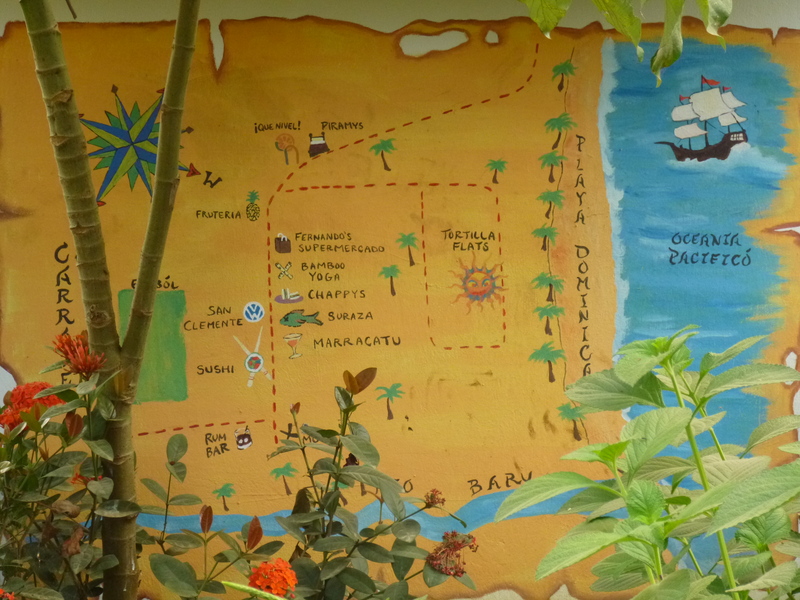 The buildings on Carenero are mainly vacation rentals, and hostels, with a couple little restaurants scattered about. Unlike the busyness of the main island, Carenero is much more relaxed. People who stay there often find they have no need to go to the main island, unless they need to go to the bank or the store. It’s got all the basic amenities, with less of the hustle. We slowly winded our way along the shoreline, stopping to explore the little cove’s and beaches we discovered along the way. During our walk, we certainly figured out where all the surfers had been hanging out. 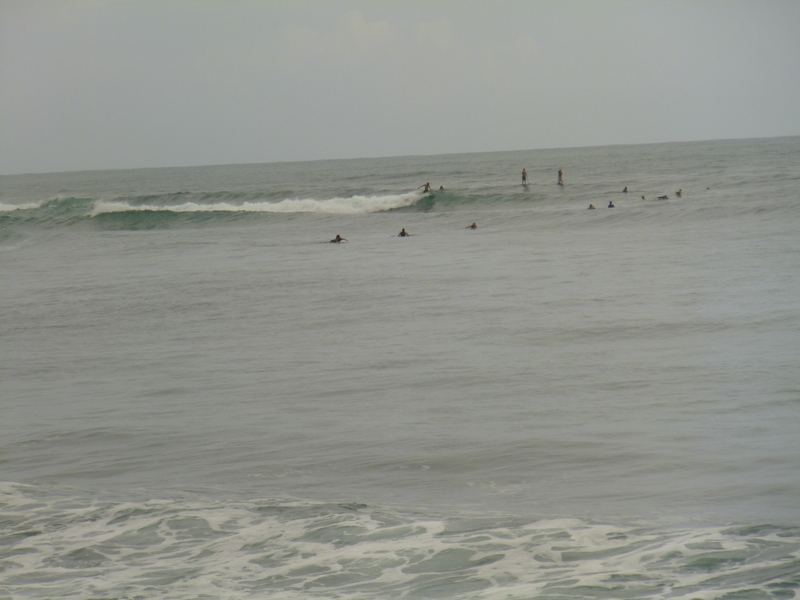 We spotted several reef breaks with tons of surfers in them. 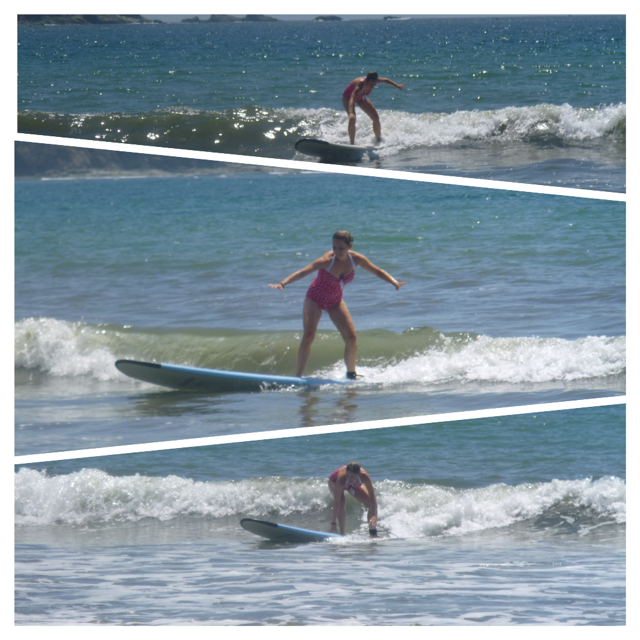 I saw my first barrel waves, and even saw a long boarder ride a wave while doing a hand stand. I may not be that interested in watching surfers, but even I was impressed! Although we were told we could walk around the entire island, after about an hour we ran into barbed wire crossing the path. We figured we could have passed it at low tide, but decided to take it as a sign to turn back. Before heading back to the main island, we stopped in at Bibi’s for a coffee, and a beer. Enjoying our beverages over the water was a perfect way to end our impromptu morning adventure. It’s funny how things have a way of working themselves out. Had we not missed our tour, we would likely never have visited Carenero Island. 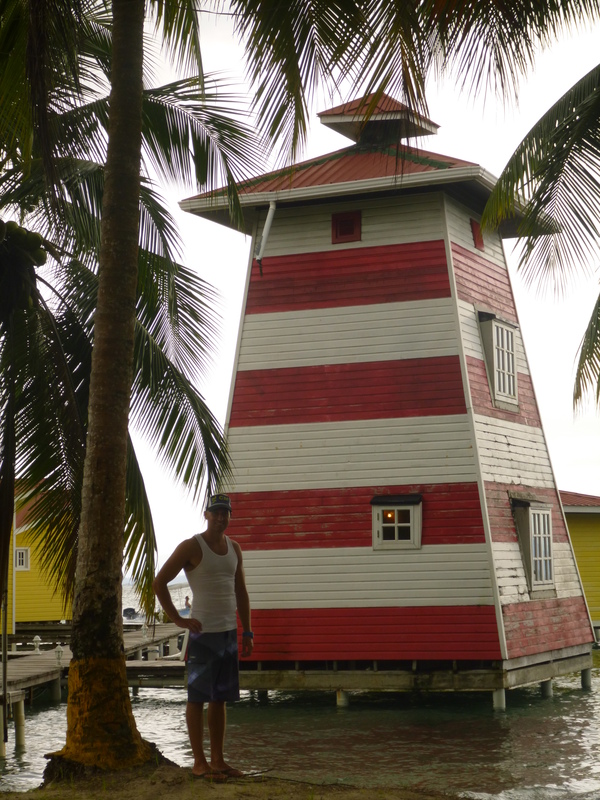 Now that we have, we know that if we ever come back to Bocas del Toro, this is the island we would stay on. Do you have any travel time change stories? Sometimes life lands you in magical places, and you just have to take a moment to be thankful. This is the state of mind we have been living in during our time in Matapalo. The paragraph in our guide book on Matapalo is just that, a paragraph. 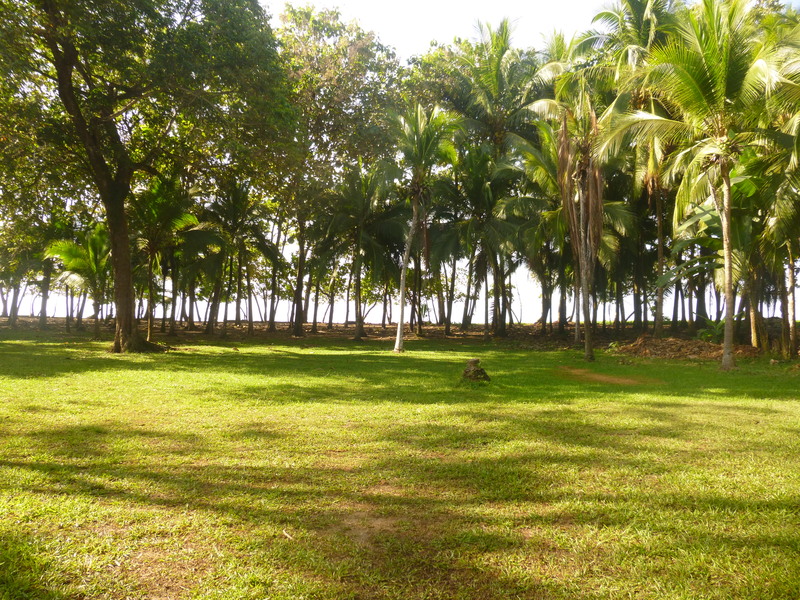 A small excerpt describing a remote village, with few amenities, good surf, and a gigantic beach. We were intrigued, and although it was challenging, I managed to track down a place to stay, El Coquito. The website didn’t really work, but after a couple of emails back, and forth, we had secured a place to stay. Our expectations were low, but we figured it would be an adventure. As the days leading up to Matapalo neared, we began wondering what we had got ourselves into. 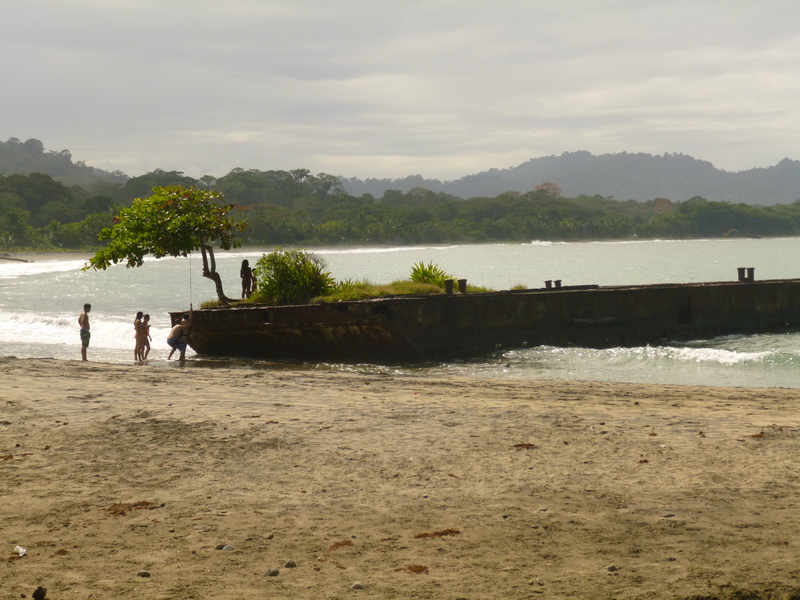 Although Matapalo is located only 32km from Quepos, many cab drivers had no idea where it was. We eventually managed to track down a driver, and with the help of our map, and guidebook were on our way. Our ride was an adventure, with the driver stopping to ask directions whenever he saw someone. Eventually, we pulled into a dirt road, and saw a small grocery store, and a sign for El Coquito. We had arrived. I think the driver was just as relived as we were. We headed up to the small outdoor restaurant where we were greeted by Enrique, and Mariella, likely two of the most amazing people we have met on this trip. Enrique is from Matapalo, but, after spending time in California, speaks perfect English. Although he worked primarily for a bank here in Costa Rica, he developed a passion for cooking while living in the states. Now retired, he helps run El Coquito, and puts his love of cooking to good use. This would certainly work out in our benefit. Especially when Enrique informed us that the owner had called him earlier that day to tell him to provide us with free breakfast every morning. Bonus! 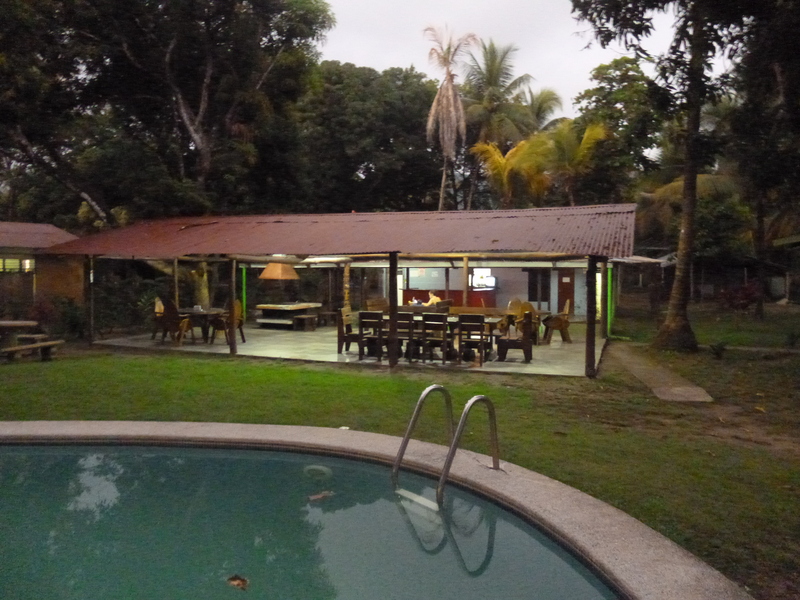 lava.” Although there are several cabinas, on the property, we soon realized that we were the only guests. The beach is our front yard! anyone. 12km worth of beach to ourselves, sure, why not?! I spent my morning running on the beach, while Shaun surfed. Then we would reconvene in the restaurant where Enrique would make us an amazing breakfast. The rest of our day would be spent going for long beach walks, and lounging in the sun on the beach or by the pool. By the end of our stay, we were so relaxed, and wished we could stay forever. Shaun, and I talked alot about whether we were even going to write this post. 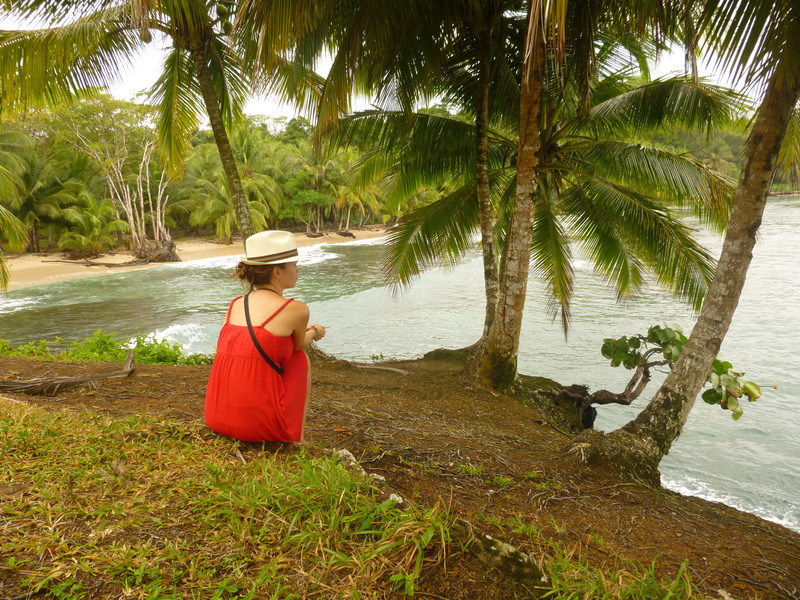 Playa Matapalo is an untouched gem nestled between the touristy cities of Quespos, and Dominical. That level of seclusion is part of what makes it so magical. The decision to write about it ultimately stems from our wish to bring business to El Coquito. 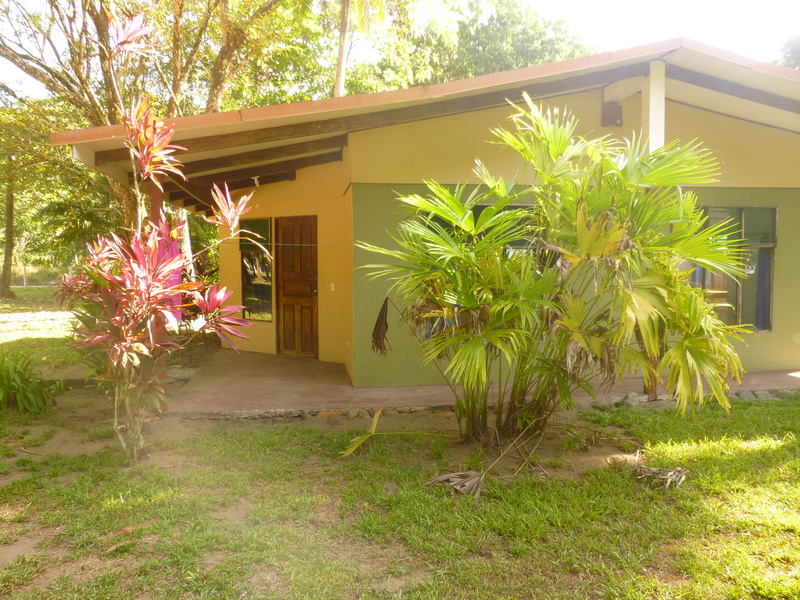 Enrique and Mariella put their heart, and soul into this place. Enrique’s passion for the food he cooks is contagious. He says his goal is to make people happy through his food, and with the amazing food that he cooks, it is impossible not to end each meal with a huge smile. Although Mariella spoke no English, she was always smiling, and teaching us new words in Spanish. They provided us with so many little touches that made our stay so special. 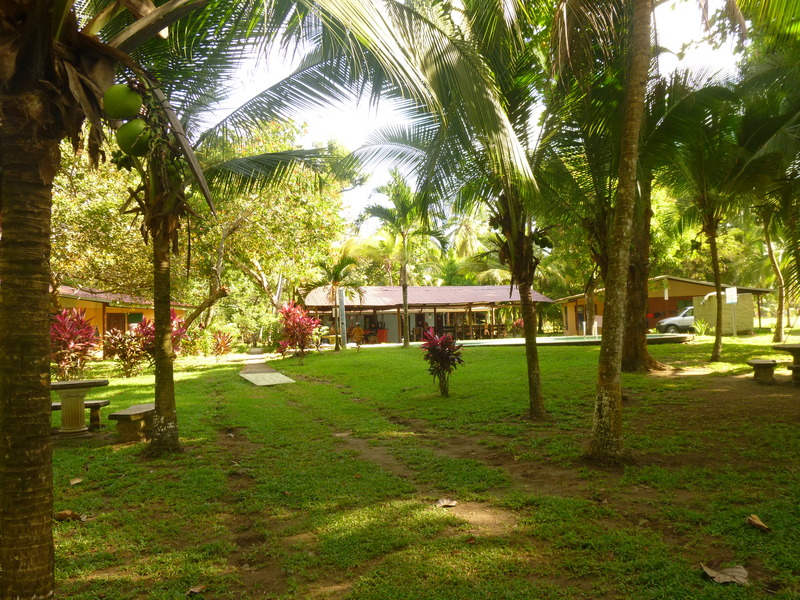 One day, I asked if they ever drink the coconut water from the trees lining the property, and from then on, I had a pipa every morning with breakfast. Every night they would give us a router to bring back to our room so we could get good WiFi reception. On the final evening they had several people coming to eat at the restaurant, but spent the time to make sure we were served first, and that we could sit at our favourite table. Matapalo is not for everyone. There is nothing within walking distance, aside from a small grocery store. 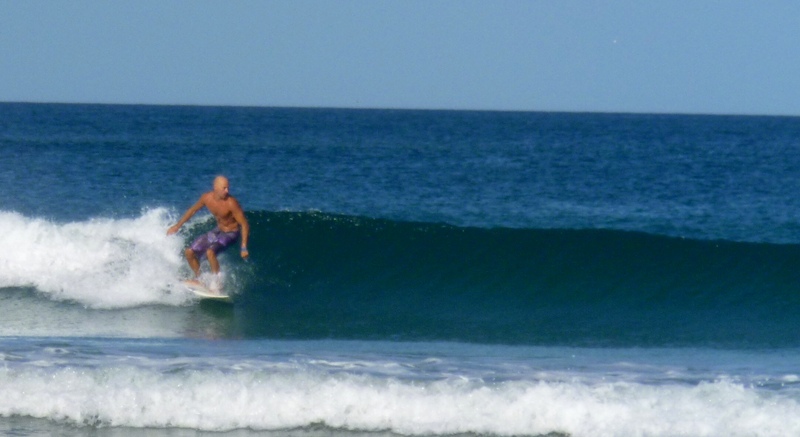 But, If you are looking to get off the beaten path, have great surf all to yourself, and get away from the tourist scene, then I would highly suggest El Coquito. If you are lucky, Enrique will make you tuna for dinner, and rice pudding for dessert. If that is the case though, you may never leave.